Our second group of 10" mixed sun hanging baskets will be available on Saturday morning, these are the same as last week with 15 different plants in each basket. Now that all our large mixed hanging basket orders have been finalized and picked up, we are able to offer the remaining and spare baskets to the public! Saturday morning a small group (about 40) 12" mixed shade hanging baskets will be available and they are still only $32.99. We also have a great selection of 10" Calibrachoa hanging baskets still available! 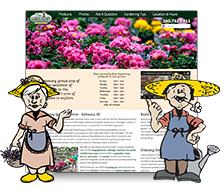 These come in a wide array of colour shades, are excellent performers in the Okanagan sun and require little maintenance (no dead heading needed). If you are looking to attract hummingbirds and butterflies, this is the hanging basket choice for you! The Foxlight series is a new interspecific hybrid Foxglove that truly turns heads! 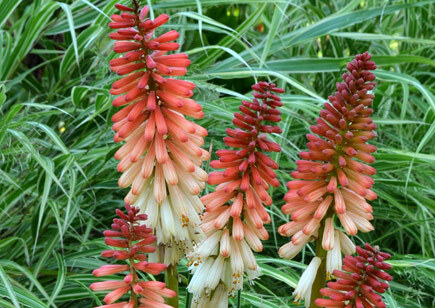 These plants form a low mound of green foliage, with tall spikes reaching 20 to 24" in height. Foxlight 'Ruby Glow' boasts large, bright raspberry-coloured flower spikes that showcase a peachy-orange throat, while Foxlight 'Plum Gold' has beautiful dark spots spilling out of the throat of each blossom. Even though these beauties are not hardy for our zone, they will offer great colour through to late summer, they attract hummingbirds and are a great cut flower. They can be found in 3.5" pots on table D3. Need a bright pop of colour? The newer Kniphofiaseries offers nice compact grassy foliage and an abundance of flower spikes all season long. 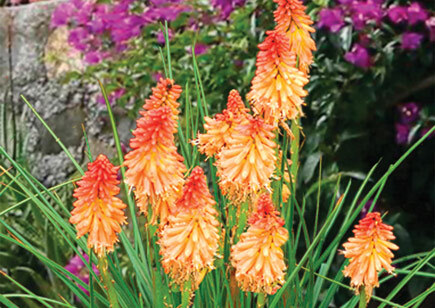 All these Kniphofia are sure to attract hummingbirds all season long. They can be found in 4.5" pots on table D-4. Cyperus papyrus 'King Tut', commonly called Giant Papyrus, is a tall, clump-forming, tender perennial sedge grass that thrives in moist soil. It produces large heads of pendulous, fine hair-like leaves on tall upright stems. This exotic-looking beauty is a rapid grower, reaching up to 6 feet in height, and makes for an impressive centrepiece. Or try growing the stouter version of 'King Tut', the smaller cousin, 'Little Tut', which reaches a manageable 3 to 4 feet in height. You can find these on table B19 close to our selection of water plants. We have noticed an increase in the pesky mosquito population since the recent rain storms hit the valley. Perhaps it is time to truly put the 'Citrosa' Geranium to the test! Claimed to keep mosquitoes, black flies, and other biting insects at bay, try planting a few around your outdoor living spaces and let us know if they truly are a 'Mosquito Fighter". 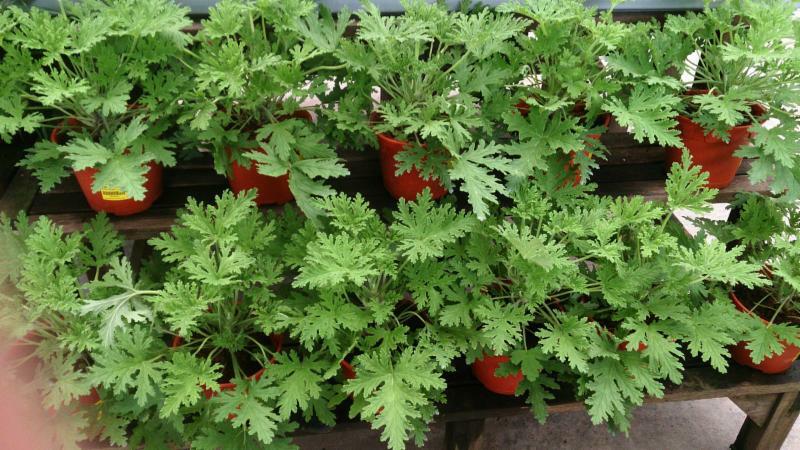 Even if it has no effect, its refreshing citronella scent and attractive foliage will make it worthwhile. There is a good selection of Citrosa Geraniums in 4" pots on table B17. P.S. The Greens are Good for Eating! We are now eating lettuce and broccoli from our garden for two weeks! No bugs so far! We are fully stocked on our hardy vegetable tables D-19 and D-20. 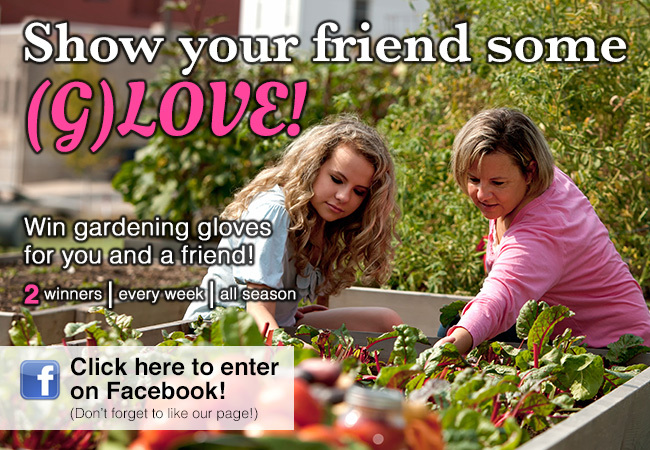 Paula Davison (Facebook winner)! 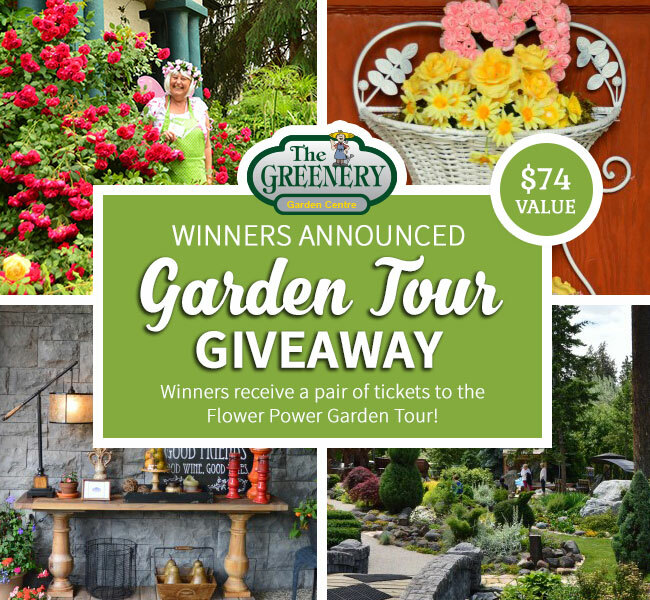 Each of you have won a pair of tickets to the Flower Power Garden Tour!  Please come in and pick it up at The Greenery anytime we're open. Didn't win but want to go to the Garden Tour? Tickets are still on sale! Early bird pricing is $32 until May 31st and $37 after.